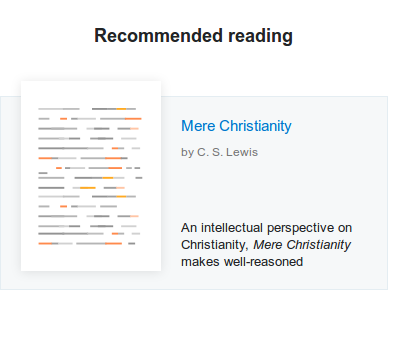 An intellectual perspective on Christianity, *Mere Christianity* makes well-reasoned arguments, which are difficult to disregard&nbsp;--- and a great read! Changed --- to an &mdash;, but that didn't help. Not that it would — &mdash; isn't magical or anything.